Psychosomatic sacroiliac pain is one of the major causes of SI joint symptoms. Mindbody interactions can create chronic pain problems in the SI joint, as well as in the regional lower back area. There are several different versions of mindbody pain, including purely psychogenic symptoms that have no structural basis at all, as well as psychosomatic escalation and perpetuation of pain that has structural merit. Many patients are confused by the term psychosomatic and are therefore insulted when this nomenclature is applied to their pain problems. They feel as if their suffering is being doubted or that there is some insinuation that they have invented or exaggerated the condition for some benefit. While some patients do experience secondary gain from their pain, these examples account for a very small minority of cases. The vast majority consist of primary gain pain syndromes where the pain is 100% real and experienced n the SI joint, even when the underlying causation resides in the recesses of the subconscious mind. This fascinating resource section details the mindbody link to chronic SI joint pain. We will provide information about the mechanism through which pain is created, as well as the reasons why the mind would purposefully choose to cause such suffering. Psychosomatic does not mean imaginary, invented, exaggerated or any other definition that would imply that the patient is not actually suffering. The term merely means that the condition is not a result of anatomical defect or structural pathology, but is instead caused or worsened by factors that reside within the substance of the mind, rather than the body. Psychogenic pain has no structural basis and is a complete fabrication of the mind. This is not to say that incidental non-causative structural changes do not exist in the area, since these factors compose the majority of all misdiagnosed SI joint pain problems. However, once again, we need to make it abundantly clear that the pain is real and truly exists in the SI joint, despite not being caused by the anatomical changes that are present. The pain is completely the same as any other pain that might result from injury, tissue degeneration or any other purely anatomical causation. Psychosomatic can also describe symptoms that have some degree of structural causation, but are worsened, relocated and/or extended in duration by the interactions with the subconscious mind. These syndromes can be mostly physically-motivated, mostly psychologically-motivated or fall anywhere in between. The actual pain is directed into the SI joint be means of ischemia. This process withholds necessary blood flow from affected tissues, thereby depriving them of oxygen. Since all cells require oxygen to live, the results are brutal. Cells will experience pain and dysfunction, typically beginning almost immediately with nerve cells and spreading to more durable cells, such as muscles and connective tissues over time. Tension myositis syndrome sacroiliac pain is one of the relatively common manifestations of TMS and is often found in combination cases of general lumbar dorsalgia throughout the lumbar-sacral-pelvic region. Dr. Sarno has mentioned various forms of sacroiliac-specific pain and is confident that the SI joint is yet another of the many locations where tension myoneural syndrome may express itself. 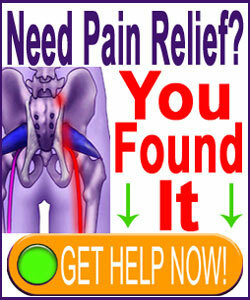 Knowledge therapy can cure sacroiliac pain when the cause is a mindbody syndrome. The treatment can also be used to relieve negative psychosomatic influence from structural pain problems, as well. Sacroiliac joint ischemia is the mechanism of action for mindbody pain in the SI joint. Oxygen deprivation can create very significant and even disabling symptoms in the joint tissues when it continues long-term. The sacroiliac nocebo effect can be imparted by virtually any diagnosis indicating structural change or pathology in the joint structure. The nocebo effect is a major cause of heightened symptomology following diagnostic evaluation. Understanding the psychology of sacroiliac pain can help patients to better manage their symptoms, as well as the collateral psychoemotional consequences of their suffering. Why would the mind choose to create pain? Isn’t this contrary to what it would want? How can mindbody pain be stopped? These are all questions we regularly receive on the various websites of The Cure Back Pain Network. In this section, we will cover the answers to these inquiries, as well as provide information for additional study for patients who want to learn more. The subconscious mind is the real you. It is the depths of personality that exist beneath the conscious surface and is fully responsible for the way the entire body functions. Doctors call processes that occur without conscious input “autonomic”. However, these processes are not automatic. They are continually directed by the subconscious and unconscious minds that define who we really are at the core. When the subconscious mind suffers emotionally, it considers this fate to be unbearable. This suffering is not consciously-felt stress or emotional sensitivity. Instead, it is suffering that affects the very essence of us, bringing to light repressed and suppressed negative emotions that have been hidden away for just cause. However, the suffering will seek consciousness, forcing the mind to do whatever it takes to keep it withheld from our conscious selves. Therefore, instead of dealing with the constant psychological barrage that life presents us, the mind chooses to distract us from these true sufferings with some that are not pathological, but are still incredibly horrific to endure. These sufferings consist of mindbody pain. Physical pain completely occupies the resources of the conscious mind and prevents inward exploration of sensitive psychological issues. When pain is ever-present, the consciousness will always be engaged and unable to fathom the true suffering that resides internally in the repressed depths. Therefore, pain has been noted as being the single most effective defense mechanism available to the mind and this explains why there is a literal epidemic of enigmatic pain syndromes plaguing the modern world. For additional reading on this interesting subject, we highly recommend searching the word “psychosomatic” in our site search tool. Alternately, you can navigate to any of our websites and read through the relevant section covering mindbody pain expressions. The Cure Back Pain Network is the leading source of the latest research and statistics concerning mindbody medicine. We highly recommend that all patients learn more about the power of the mind over the body, since this influence affects all of us at every stage of life, for good and for bad. We can influence the manner through which the mind talks to the body and create positive health, reduce pain and even cure ourselves of terrible afflictions that were once thought to be purely structurally-motivated. The power to do all this already resides within each of us. This fact is well supported by medical research and the ability can be harnessed by any patient who wants to find sacroiliac joint pain relief, without pursuing drug, exercise or surgical care practices that might not be needed or effective. Our excellent Cure Back Pain Forever Program is ideally suited to end mindbody pain for good. You can get help immediately from anywhere in the world. The program is 100% safe, effective and endorsed by many notable doctors.